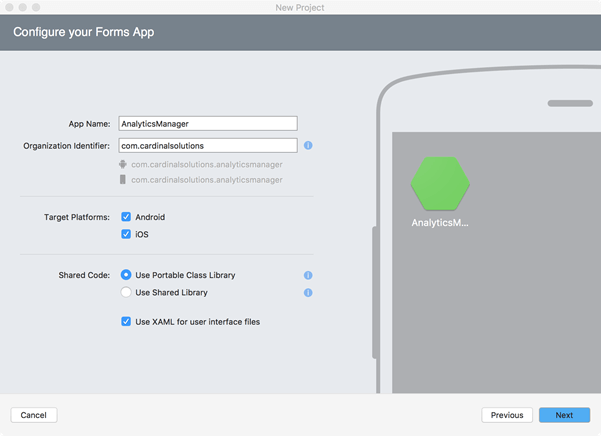 This article describes integrating Google Analytics into Xamarin.Forms mobile applications. In particular, we’ll demonstrate how to incorporate screen views into the iOS and Android solutions. The solution is composed of three separate projects. AnalyticsManager is the main PCL project where shared code will reside. AnalyticsManager.Droid contains any custom code required for Android while AnalyticsManager.iOS contains any custom code required for iOS. We’ll be adding code to each of these projects. 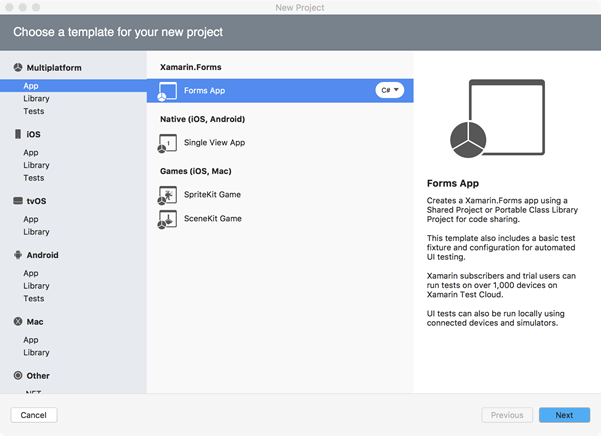 The Portable Class Libraries (PCL) project will contain an interface used in Xamarin ContentPages to record screen views. The native projects (AnalyticsManager.Droid and AnalyticsManager.iOS) will contain the platform-specific implementations of the interface defined in the PCL project. The ScreenName enum contains values that represent screens in your application. For demonstration purposes, only Login and Main are represented in this project. InitWithId represents a method that, when called, initializes the native Google Analytics framework with the given analyticsId. 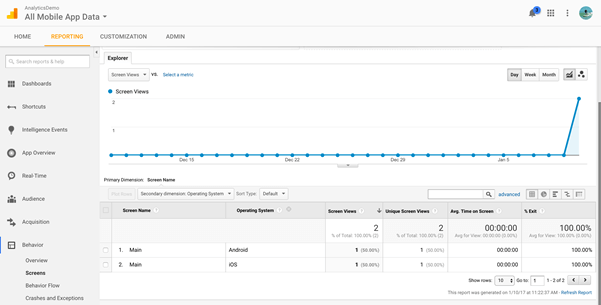 The analyticsId is defined in the Google Analytics portal and generally follows the pattern UA-xxxxxxx-x. An example of this method’s use will follow shortly. TrackScreen represents a method that will be called by each ContentPage in our PCL app, passing in one of the ScreenName enum values. Again, each native project will provide an implementation for this method. 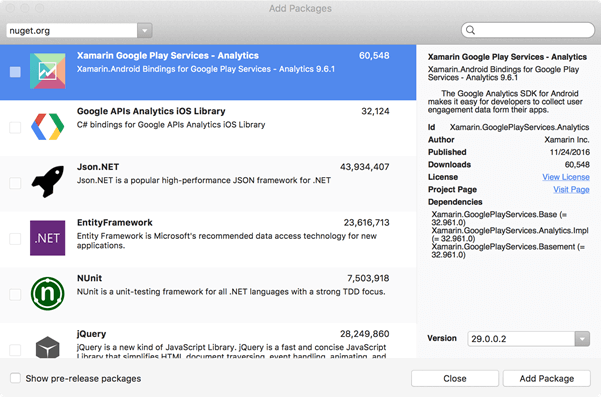 Fortunately, NuGet packages for Google Analytics exist for both iOS and Android Xamarin Native projects. These packages wrap the underlying native implementations of Google Analytics and, therefore, have slightly different syntax from platform to platform. 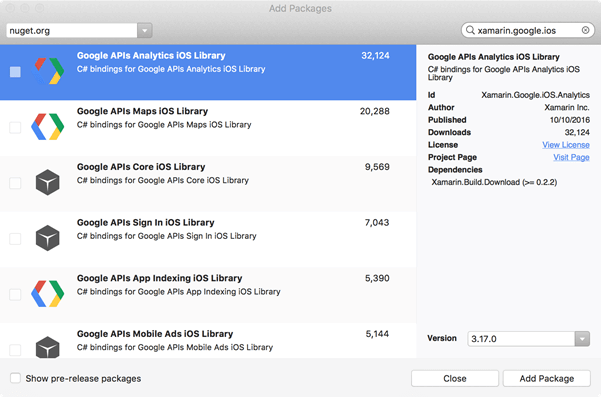 Find and check the Xamarin.Google.iOS.Analytics package and press Add Package. You should now see that package listed in the Packages folder. Find and check Xamarin.GooglePlayServices.Analytics. We’ve chose version 29.0.0.2 here. Click Add Package, and you should now see that package listed in the Packages folder. Now that the NuGet packages for each native platform are installed, we can now create each platform’s implementation of IAnalyticsManager. 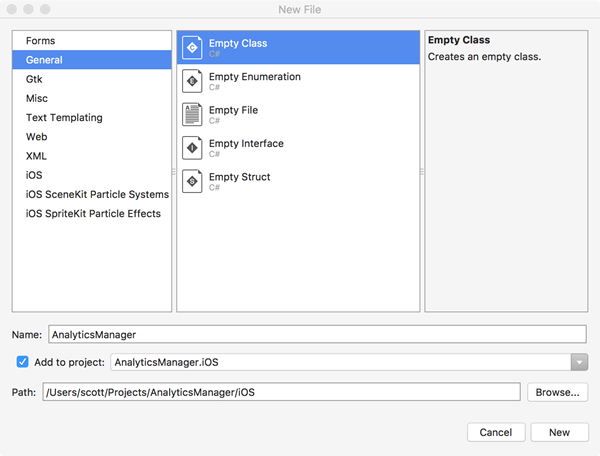 Choose General – Empty Class and provide AnalyticsManager as the Name of the class. 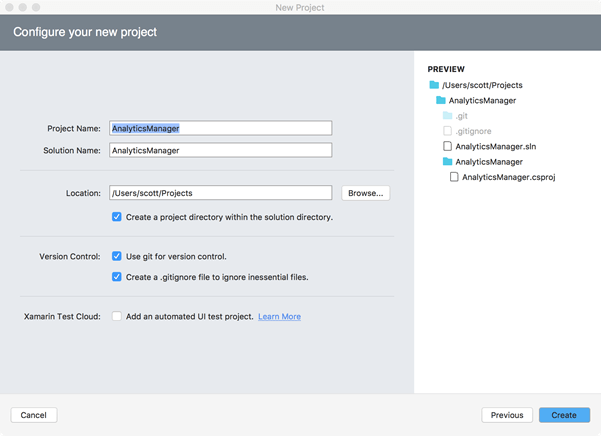 Also, make sure AnalyticsManager.iOS is the chosen project. Note the Dependency service reference at the top. 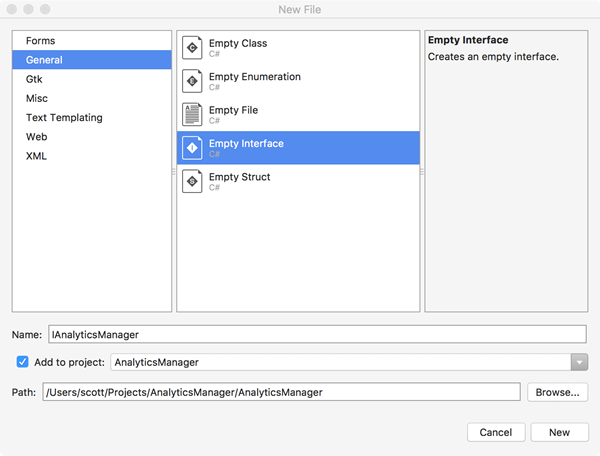 Choose General – Empty Class and provide AnalyticsManager as the Name of the class. 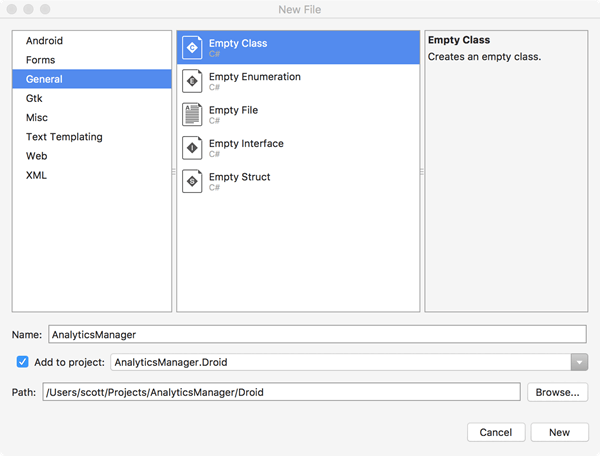 Also, make sure AnalyticsManager.Droid is the chosen project. You’ll notice a different syntax for the two implementations. Also, take note of the Dependency line, similar to that in the iOS version. Of course, you’ll have to supply a real tracking id for InitWithId method call. You’ll notice the use of DependencyService here to load the platform-specific implementation. You’ll also notice ScreenName.Main is being passed into TrackScreen. That’s all there is to it. You should be able to extend this approach to support Google Analytics custom metrics and dimensions as well. This article originally appeared on Jan. 24, 2017.